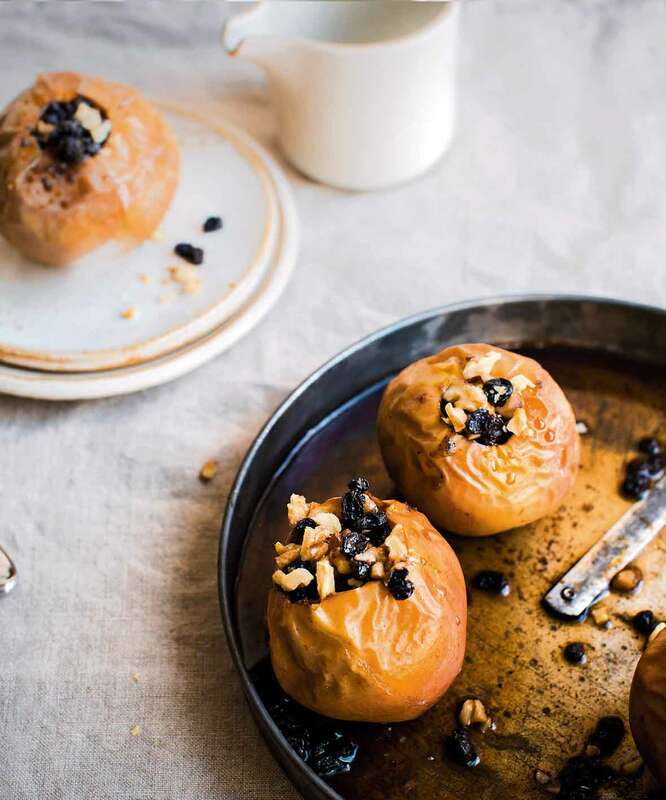 These baked apples are drizzled with coconut cream and stuffed with raisins, walnuts, ginger, and spices. 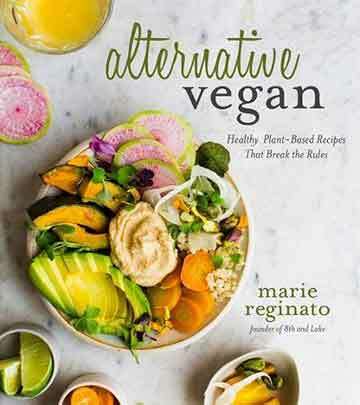 Simple, spectacularly delicious, and vegan–although you’d never guess from the indulgent taste. 1. Crank your oven to 375°F (190°C). 2. With an apple corer, take out a large portion of the apple core from each apple by carving a hole from the top of the apple to nearly the bottom, taking care to not puncture the apple all the way through. 3. In a small bowl, toss the raisins, walnuts, maple, cinnamon, vanilla, ginger, and sea salt together. 4. Place the cored apples in a baking pan and fill each apple with the stuffing mixture. (Editor’s note: It’s ok if you have some stuffing mixture leftover. It’s quite delicious eaten straight from the bowl). Top each apple with about 1/4 teaspoon coconut oil. 5. Add a few splashes of water on top of the stuffed apples and place them in the oven. Keep adding a splash of water to each apple every 10 minutes as it bakes—this keeps them moist. Cook the apples until they’re soft and the skin is golden brown, about 45 minutes. 6. While the apples are baking, in a medium bowl, stir together the yogurt, ginger, and maple syrup. 7. Remove the baked apples from the oven and let cool for 10 minutes. Top the apples with a sprinkling of extra nuts and serve each apple warm with a drizzle of the ginger-coconut cream. Baked Apples with Coconut Cream Recipe © 2017 Marie Reginato. Photo © 2017 Marie Reginato. All rights reserved. All recipes and photos used with permission of the publisher.